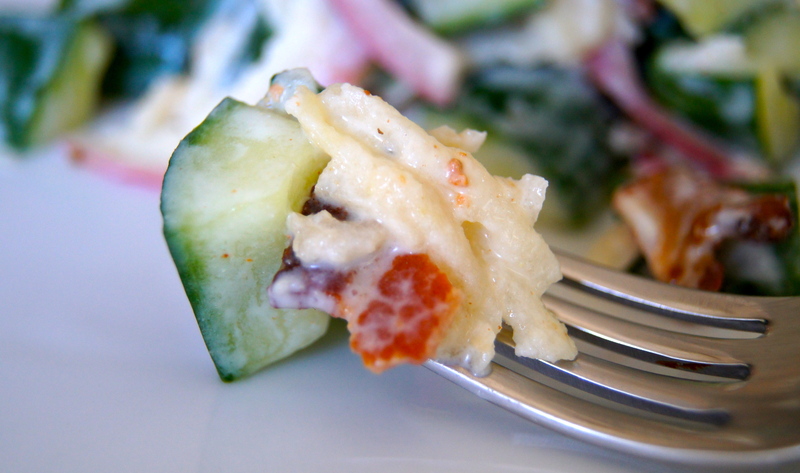 This is a fun switch to a classic summer side dish. Theres so much you can do with this recipe…adding bleu cheese or celery to the mix is wonderful, dried cranberries or cherries instead of apple is pretty delish, too. 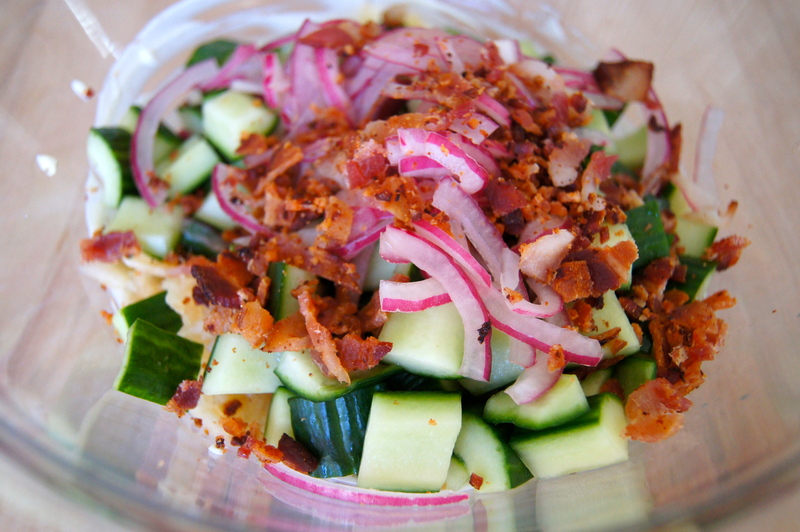 But this right here is my favorite variation; crunchy, fresh cucumber, sweet, crisp apple, and smokey bacon make an awesome team paired with the creamy, tangy dressing. The taste is just plain awesome. 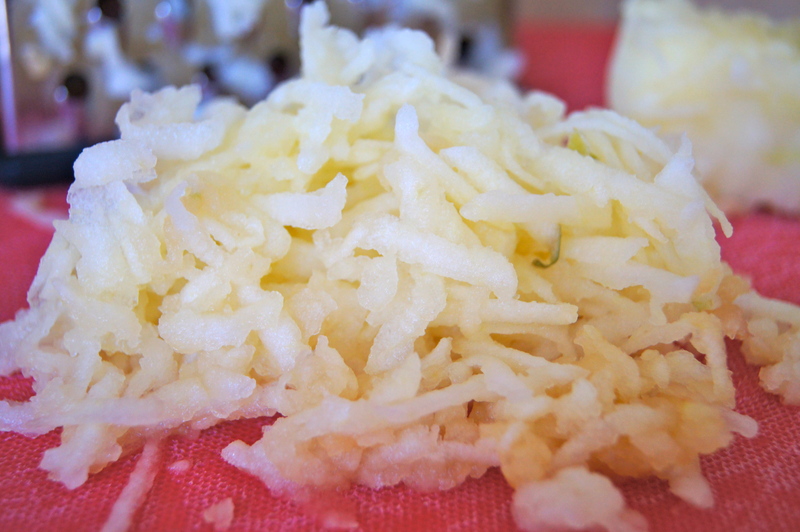 Savory, salty, tangy, sweet…theres a lot going on but with just the right balance. 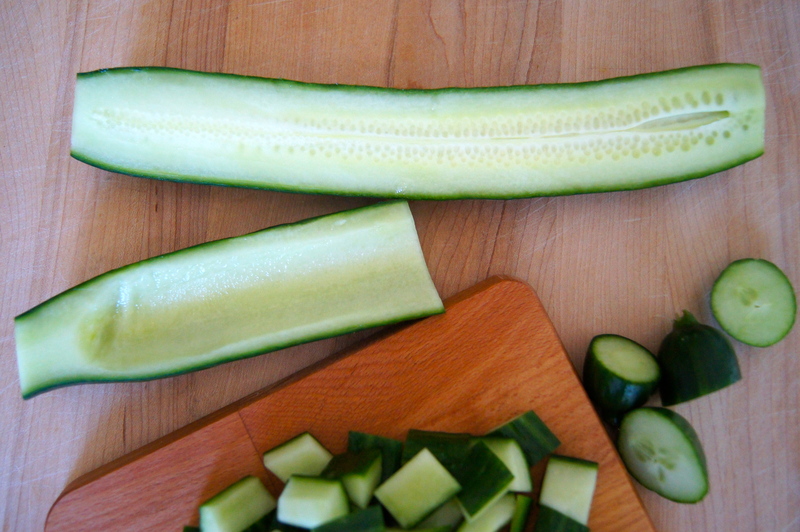 The cucumbers don’t get soggy like in a typical “cucumber salad”…likely because I remove the seeds and chop them into a larger dice instead of the traditional, thinly sliced variation. 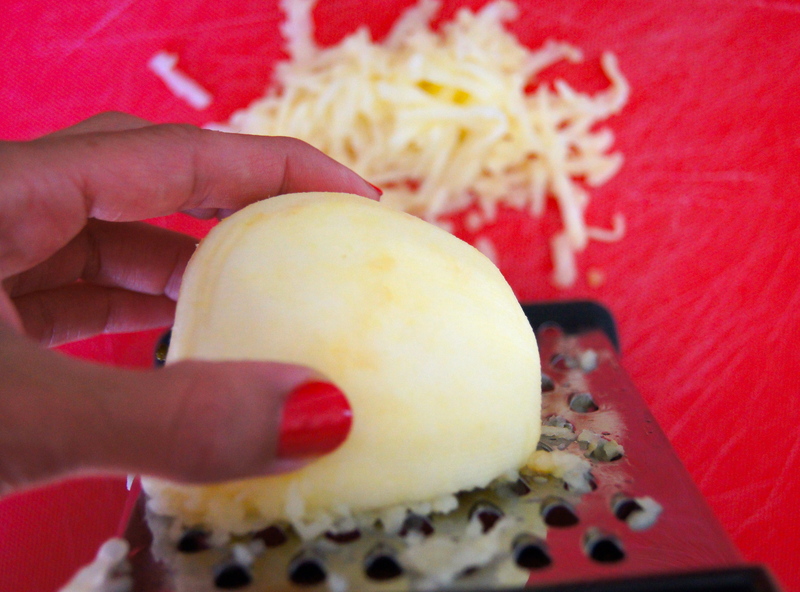 And what could be better than a recipe that requires no cooking whatsoever?? This one just doesn’t get old…it keeps making an appearance at our table over and over again. 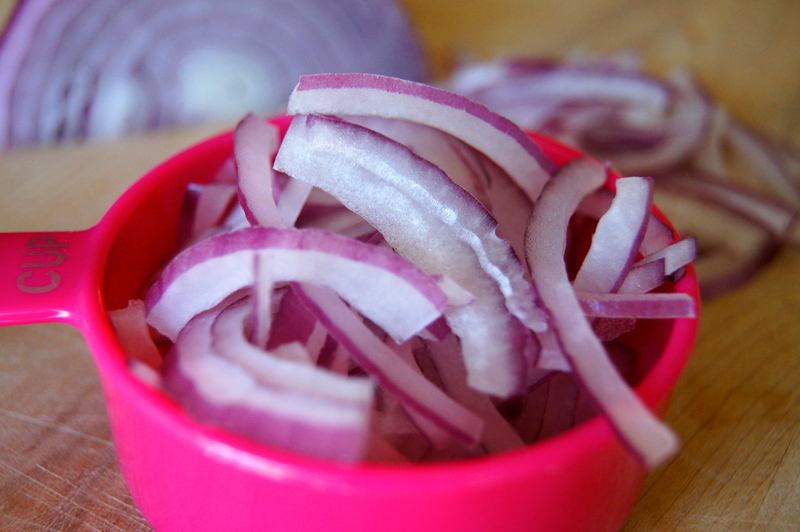 Combine onion, vinegar and honey in a small bowl and mix well. Let sit at room temperature for 20-30 minutes. 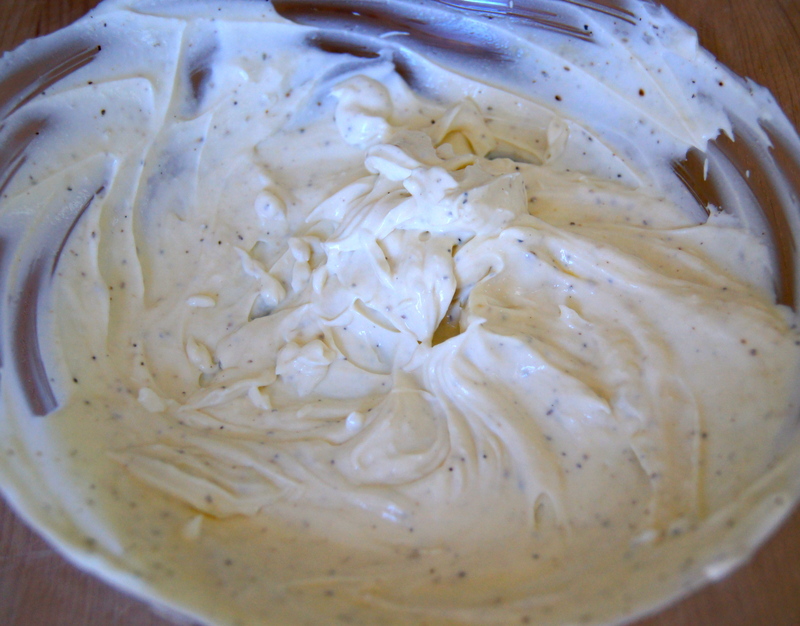 In a large bowl whisk together the sour cream, dijon, salt and pepper. 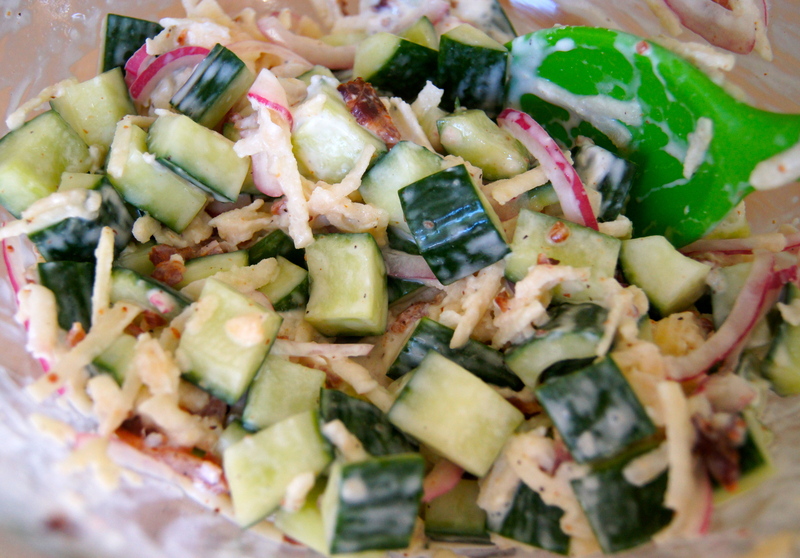 Add the marinated cucumbers + juice, apple and bacon and stir to combine. 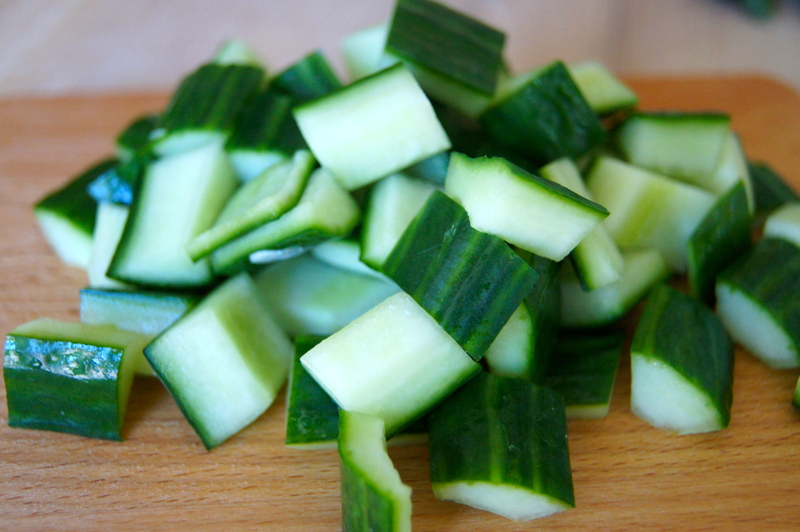 Serve at room temperature or chill in the refrigerator. Serves 4-6 as a side.